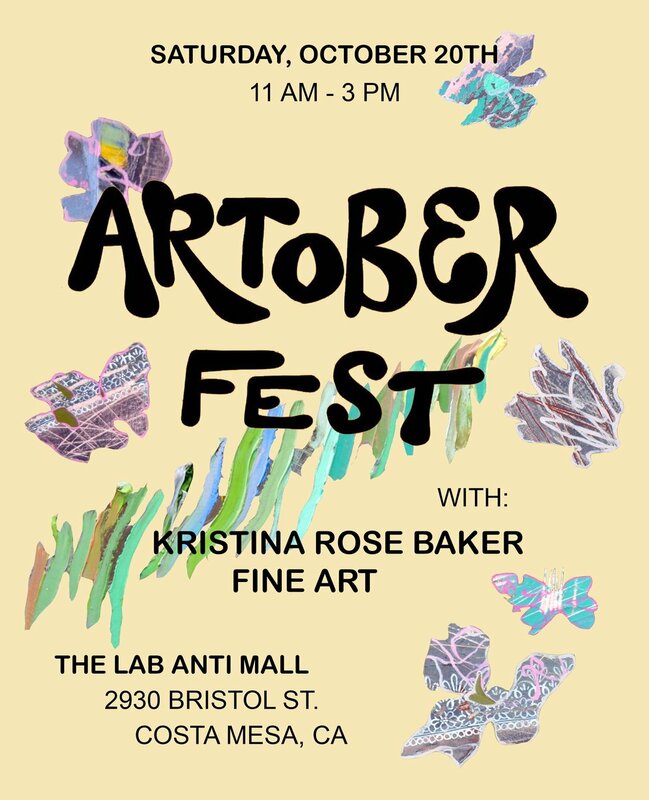 Join me this coming Saturday, October 20th from 11 am - 3pm for Artober Fest at The LAB Anti Mall in Costa Mesa. I’ll be selling original drawings, watercolors, oil paintings, and prints! Come see art by local artists and makers, get your aura photographed, and enjoy live music! It is an all ages event and is free. Hope to see familiar faces!